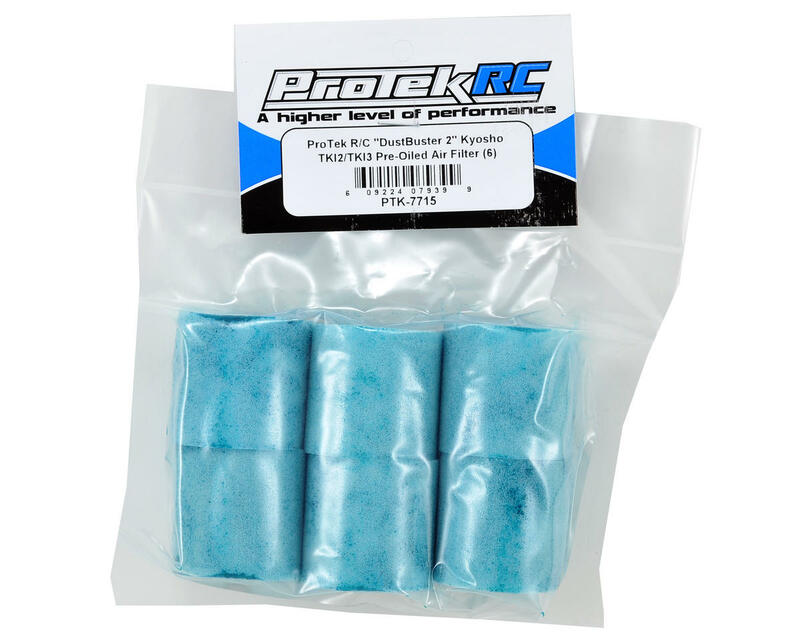 This is a pack of six ProTek R/C "DustBuster 2" Kyosho TKI2/TKI3/TKI4 Pre-Oiled Air Filters. In the unforgiving world of 1/8 scale off road, something as simple as the air filter can be the difference between success and failure. The air filter system is the only thing preventing dirt and other contaminants from getting pulled into your vehicles engine. This small component could become the source of an expensive problem in the time it takes to burn through a tank of fuel! 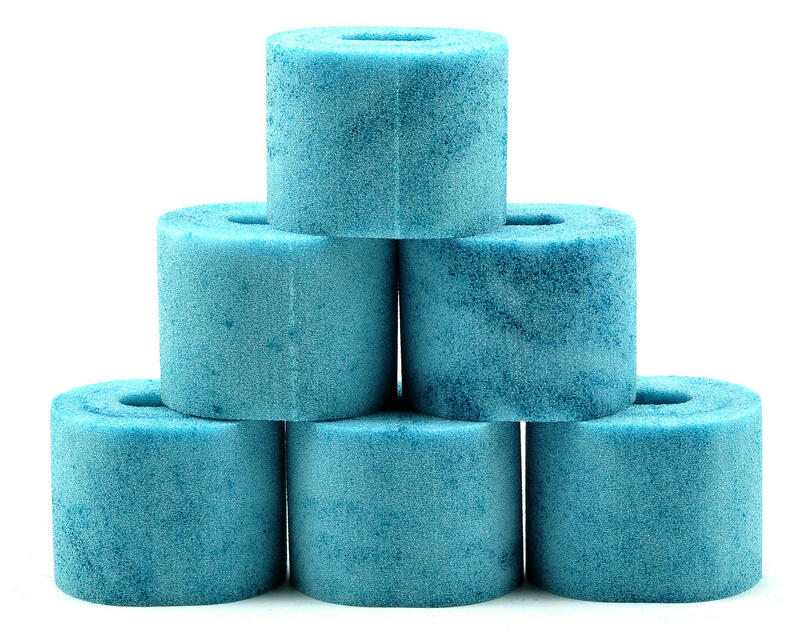 Many filter's are adequate, but when it comes to your engine, adequate is not good enough. Your prized engine deserves the best.